Your digital presence plays a key role in the success of your medical or healthcare organization. And your website is the backbone of this digital presence. We’ve built over 150 websites on Wordpress and HubSpot, and we want to help build yours. We build websites differently than most. Our team of designers, developers and marketing strategists start by defining a website strategy to inform the creation of a modern, updated website that your patients will respond to. We build in features such as device responsiveness, quick page load time, an optimized information architecture and easy-to-find valuable content. 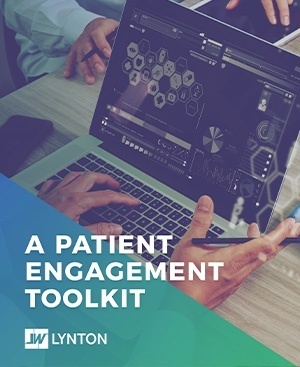 It is designed from the ground up with the patient in mind, and will inherently support the overall marketing and business goals of your organization. 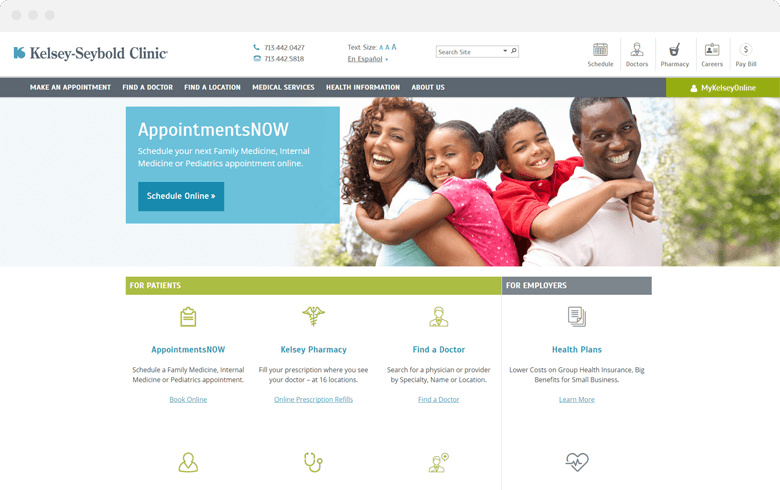 We’ll start by understanding your patients needs, and how to best customize your website to target them. Your knowledge of your practice, coupled with our marketing expertise will get the project started in the right direction. Sitemaps, wireframes and outlines will center around providing your current and future patients the information they need most. 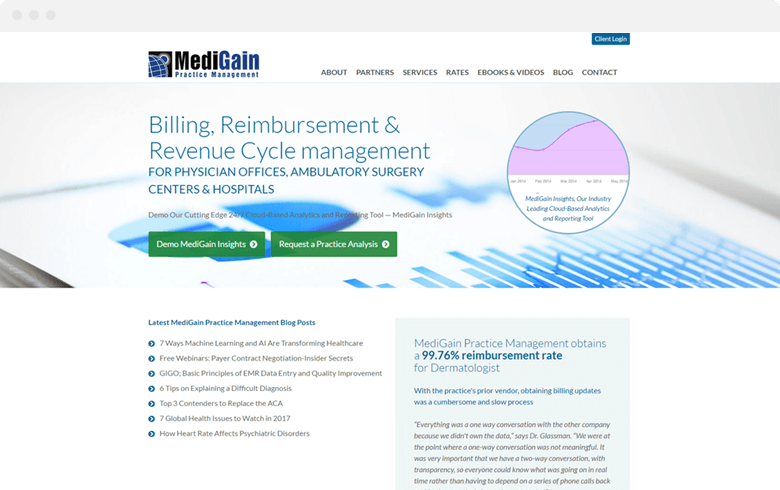 From start to finish, your website project will be handled by a team of digital marketing strategists, SEO specialists, and skillful designers to deliver the best in medical website design. You’ll have a custom and unique design that differentiates your organization and brand from competitors. Our creative process is driven by intelligent discovery, and brought to life by our in-house design team using their modern design skillset to deliver a website you can proud of for years to come. Building a website is like constructing a house. Starting with a solid foundation, infrastructure, and skillful design, we continue the project with stunning aesthetics and easy-to-navigate modernity. We’ll help complete the project with fine attention to detail and a seamless go-live launch. 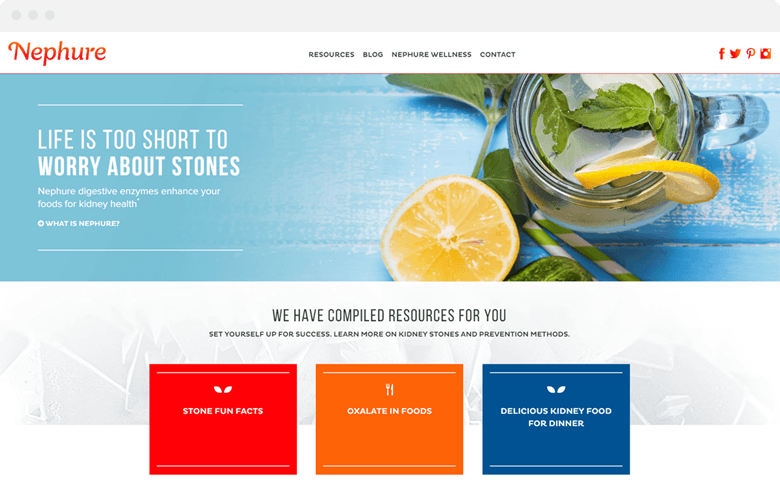 Your current and potential clients will be happy to discover your new site designed to guide them through each stage of their health journey. 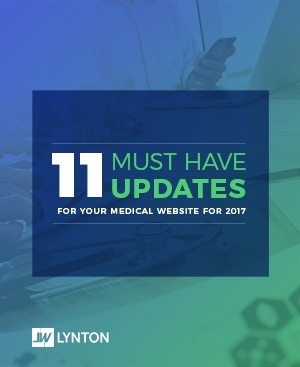 From updating templates, to refreshing content, today’s medical websites are no longer considered static tools. By monitoring usage and functionality, as well as keeping abreast of the top trends, our experts will continue to provide help and guidance to make sure you and your clients continue having a happy and healthy experience with your website. Inbound marketing is the best way to turn potential contacts into patients and advocates of your medical practice. It is a holistic modern marketing strategy that helps lead people naturally through the process of becoming happy, healthy patients.